AmoebaWorld is used in Introductory Programming to provide practice writing Python expressions and to introduce object-oriented programming. Here is the first homework that uses AmeobaWorld. 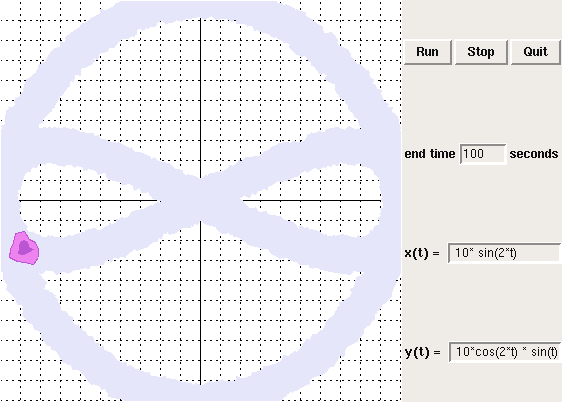 Students write Python expressions that evaluate parametric equations. The Amoeba traces the resulting curves. Here is an example showing the "slide", an Amoeba, and the control panel where students type expressions. 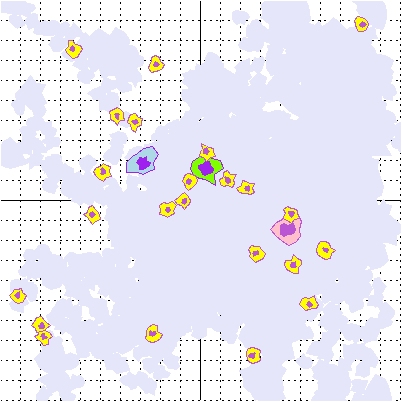 In a later homework, students write functions that allow the Amoebas to move toward each other, detect collisions, mate, and produce baby Amoebas. This example uses some object-oriented features, but it is mostly written in a procedural style. Introductory Programming focuses on basic programming skills and defers object-oriented design until Software Design.